There is a challenge with the management of device drivers especially if you do not have sufficient knowledge on how to do it; you could end up with a computer that is worse off than it was before you started the installation process. The most common errors people make are that they install the wrong driver for the wrong hardware, or they install a driver that is not compatible with the device. Other mistakes could involve accidentally deleting useful device drivers and then installing them with updates that will not make the system work properly. The aim of this article is to look at some common errors people make when installing drivers. One of the surest ways you can destroy your PC is to install the wrong device driver. The scary thing is that it is not only you who has the potential to install the wrong drivers; Windows itself has been known to cause problems by installing wrong drivers. Some of the consequences of installing the wrong device driver include getting an error message with every startup. If you want to see that Windows can go crazy, just install the wrong drivers. It will start giving you error messages, reboot your system without warning, and sometimes even fail to start. Sometimes, the problems become so serious you will need to end up doing a complete reinstallation of Windows. As you can see, this could become a time-consuming task that may create more problems than solutions. Accidentally deleting a device driver while trying to update or install it can also cause massive problems. Your hardware will fail to function properly—that is, if it functions. This may mean that your computer is unable to do most of the functions for which you bought it. When you have deleted the drivers, you may discover that identifying it and reinstalling it may become a daunting task. When you do a system restore, you need to exercise care as it can be the reason your device drivers were deleted. If you do not sufficiently review your device, the operating system, and the latest version of the driver you are installing, it is easy to end up with a driver that is not compatible. In the event that the drivers and the device they are supposed to manage are not compatible, you will face the same problems as the aforementioned. Another common mistake that people make is that they ignore the services of driver management software systems such as DriverAssist from SafeBytes. The advantage of such systems is that they have been designed by knowledgeable software engineers who understand the consequences associated with installing the wrong device drivers. 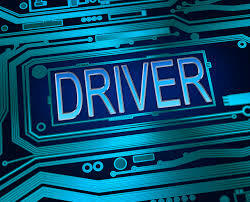 This software will scan your system at regular intervals and identify the state of your drivers. If they need to be updated, it will do so from an extensive database kept at SafeBytes.